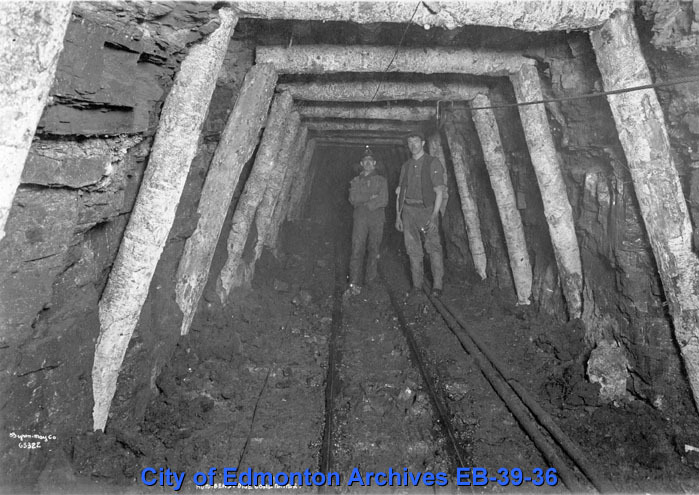 Perhaps the high point of the Humberstone Mine was in 1918. 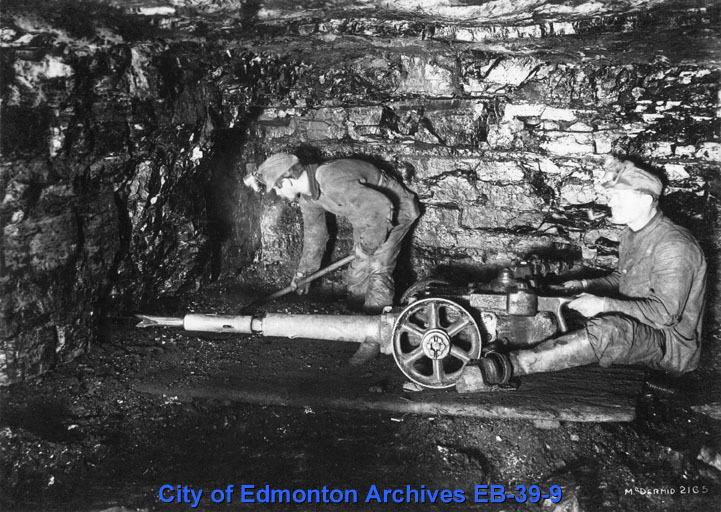 In this year it was reported in the Edmonton Journal that the mine was the best equipped in the Clover Bar field, with a capacity of 1,000 tons per day. The mine originally used the room and pillar mining method, where miners would dig out coal using a pick and shovel, leaving “pillars” of coal in the centre of rooms to help hold up the ceiling. 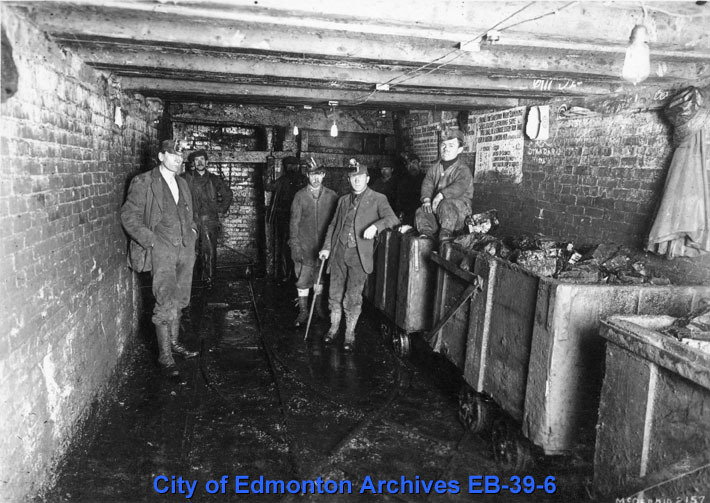 The tunnels were also shored up by timber men, using seven foot lengths of spruce, poplar and tamarack. 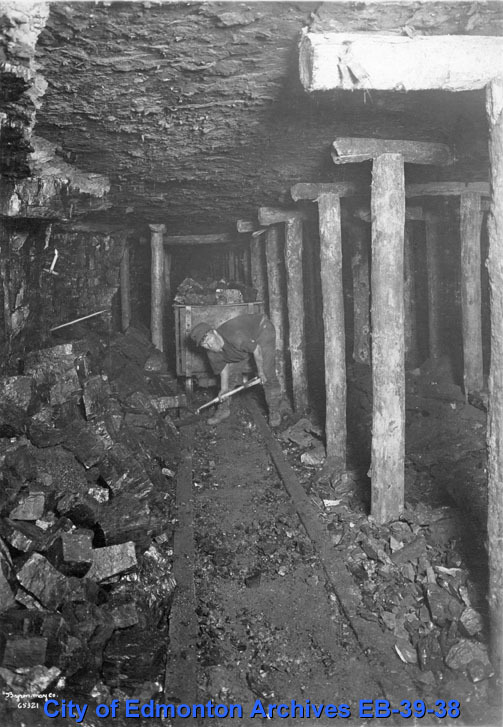 The logs were cut by a crew near Entwistle and delivered to the mine. 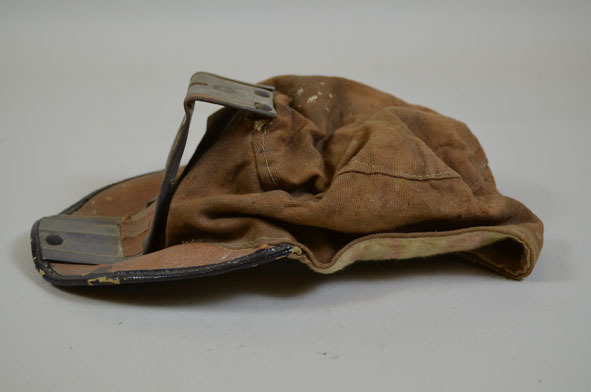 The most common mining job was that of “hand pick” miners. 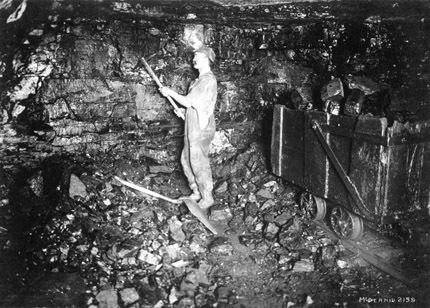 Hand-pick miners were considered the most skilled. 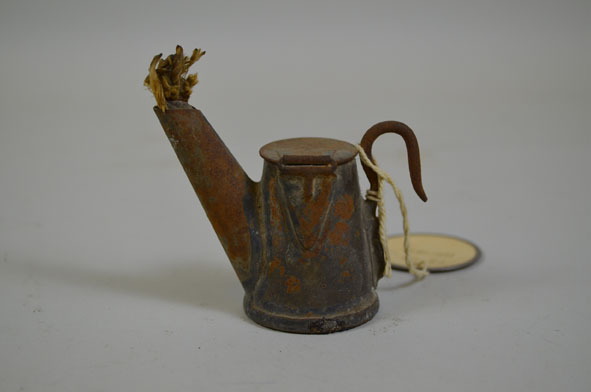 Using a pick and shovel, they worked in rooms as large as fifteen feet wide, though the spaces could be much smaller. 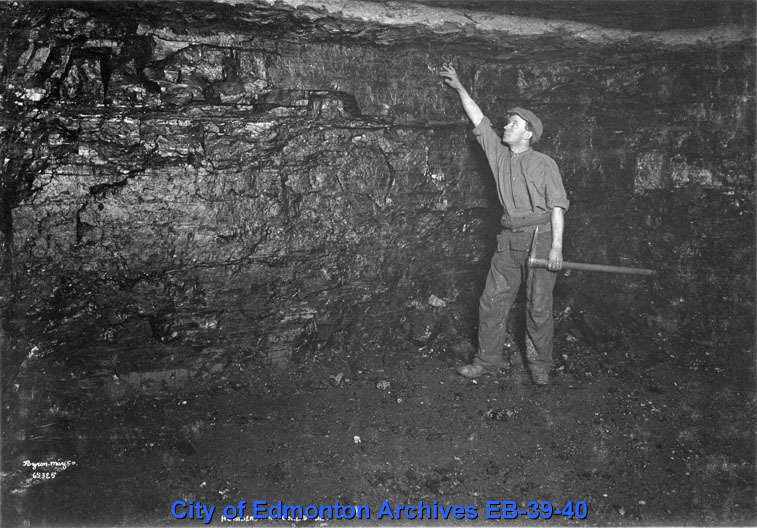 In the winter of 1918 there were ninety hand pick miners. They could mine between twelve and twenty car loads in an eight hour shift. 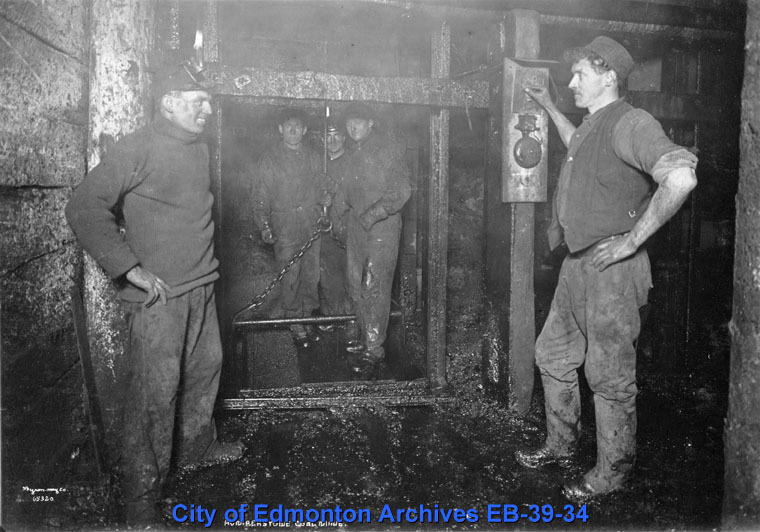 In 1918 there were also six machine “punch” miners, which were used in narrow spaces. One of these machines, operated by two men, could pull out between twenty and thirty car loads in a shift. The machines dug out a section of coal from below, then the whole mass would be knocked down and pulled out. 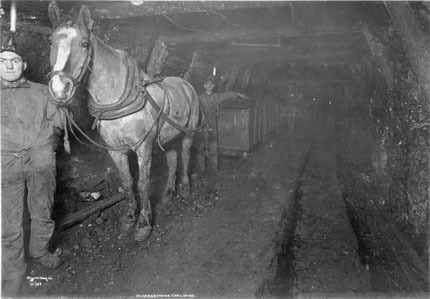 Once the coal was freed from the ground, it was put into carts on tracks and pulled out by horses. The horses, known as pit ponies, lived underground and rarely went outside. As assets of the mine they were kept in the best of health. Once pulled to the main track of the mine the cars were picked up by “donkey” engines, powered by steam or compressed air. In a matter of minutes the engine could take between 15 to 20 carts to the bottom of the shaft. 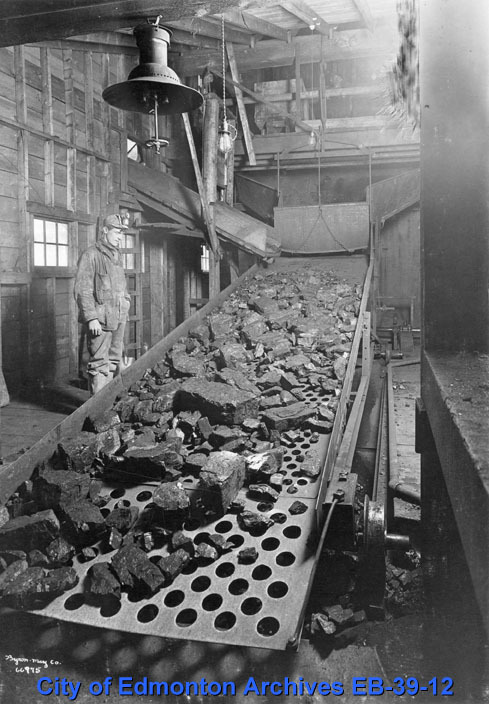 The coal was then dumped into hoist cars which brought it to the surface where it was poured over a shaker screen to separate and grade it based on size. 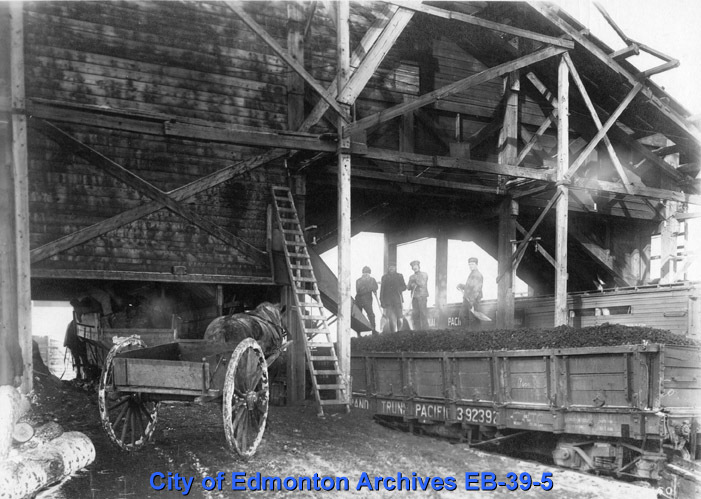 A steam powered box car loader then poured the coal directly into box cars to be shipped away by rail.